An ostentatiously sized, richly embellished heart locket, to take a generous memento picture close to your heart. With an inner mirror and a decoratively etched secret love poem; "Where I am always thou art, thy image lives within my heart." 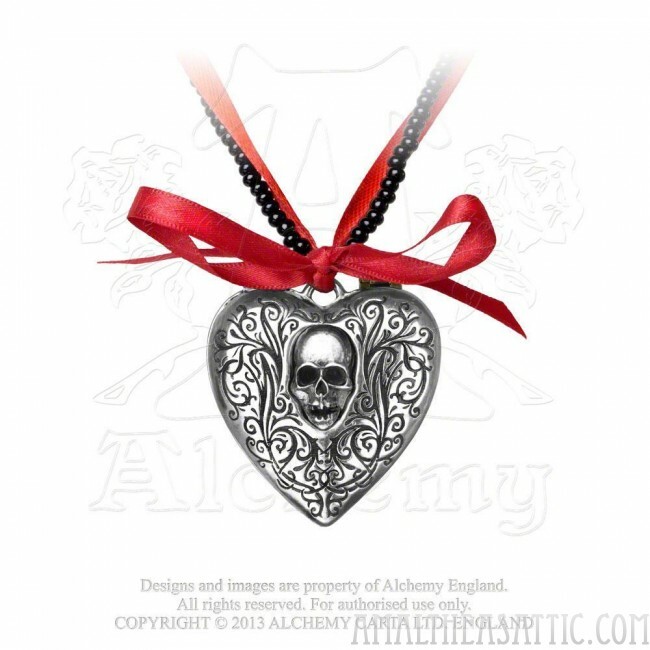 A deliciously gothic accessory to hold those nearest and dearest close. 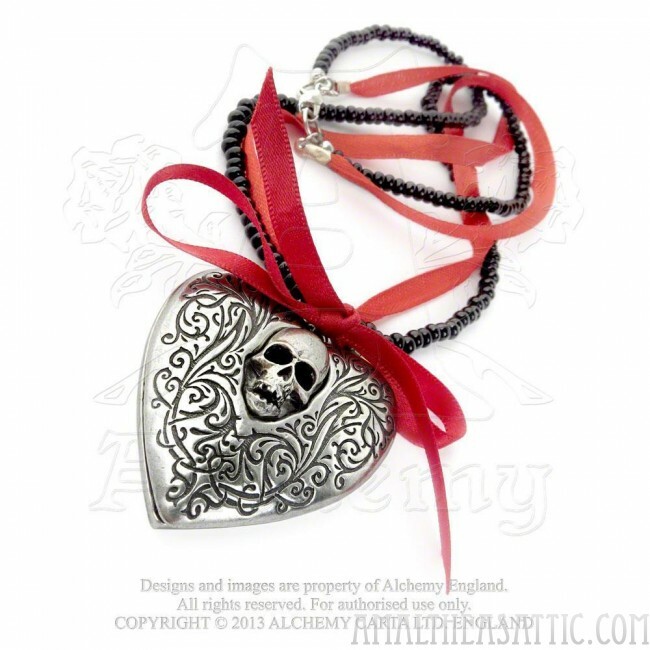 This pewter locket has a magnetic catch and a unique black bead and red ribbon necklace. Width 1.85" x Height 1.97" x Depth 0.55"